In this article you will read how inquiry and constructivism go hand in hand as the learners or inquirers build upon their prior knowledge or previous experiences. What is the most natural way a child learns? How can we make learning last? What helps students make meaningful connections and develop stronger ideas? For me, the answer to all these questions lie in constructivism. Constructivism is one way to help a mind make or construct new meaning through experiences that he/she can relate to. Inquiry and constructivism go hand in hand as the learners or inquirers build upon their prior knowledge or previous experiences. Let me give an example here: during an inquiry in year 5 under the transdisciplinary theme How we organize ourselves, our central idea states: Economic activity relies on a system of production, exchange and consumption of goods and services. We began with gauging how familiar students are with these key terms in the central idea. Almost all the students found the words economic activity extremely new… never ever heard of! Sometimes, when the words in central idea are too difficult for the students, simplifying them helps students connect those new concepts to their everyday life. Only then one can expect the students to get excited about the unit and start ‘inquiring’. While the ‘actors’ prepared for their acts, the rest of the students were asked to formulate some essential agreements, simply because this exercise would involve movement and interaction. Students picked up some IB learner profile attributes and PYP attitudes to formulate the essential agreements for this session. The actors started and the students observed carefully, making mental notes. The observers went around the different stations (where the actors had positioned themselves) to try to figure out what was happening. As a facilitator, I was also taking part in their conversations, sometimes prompting them to think deeper, by posing a question or two. Meanwhile, I was also recognizing those students who followed the essential agreements like those who were being principled (by sticking to the essential agreements); thinkers (for making relevant connections); inquirers (asking pertinent questions about the act); enthusiastic and creative (for improvising and acting out the parts very well). Once I had the whole class thinking and talking about the ‘acts’, students shared their observations about each station and labeled the first activity as ‘help’; second as ‘hobby’; third as ‘making money by selling’ and fourth as ‘help – but can charge money for the work’. We concluded by saying that the activities that involve exchange are called economic activities; and ones without an exchange are non-economic activities. They then listed some examples of both from their daily life. Students came up with words like – marketplace, customer, buyer, exchange, money, service, products etc which brought them closer to the central idea. Through this provocation, students got completely involved in the unit and began constructing meaning by taking examples from their everyday life. 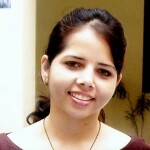 Vandana Parashar is the PYP Coordinator at Pathways School, Noida. She has been a primary educator for the last 15 years in international schools from New Delhi to Tokyo and believes in good pedagogical practices and keeping her children happy and excited about every single moment of the day. You can follow her school on Twitter @PathwaysSchools. Absolutely true. Understanding the complex/ new words in the central idea is essential to be able to make meaningful connections. And as Vandana has rightly pointed out, children are a part of complex actions and understandings in their daily life. Bringing their attention to it simplifies the whole process. A very simple way for learners to unfold the clue words without any support. An idea getting closer to independently decoding and finding solutions. Mesmerized by such an excellent start to support and conduct a purposeful, structured and sustained inquiry!! I am glad that you liked the post Paramita! Such a great way to get the students interested for an inquiry. Liked the way the learner’s profile were used to set the essential agreements….all leading to independent thinking and understanding a complex idea…. Thank you Shweta for appreciating the ideas! Leave a Reply to Srilakshmi Click here to cancel reply.